Woodworking as an industry has a tedious relationship with the eco-friendly movement and sustainable living. 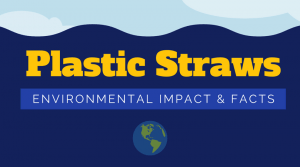 We all love our planet and want to work in a sustainable way, but the tools and materials used in industrial woodworking leave a heavy burden behind them. There is some good news though. Green woodworking, a very old technique considered by many woodworkers obsolete, is suddenly making a resurgence. 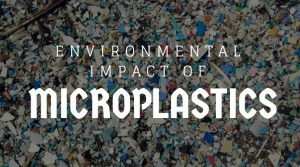 It challenges the assumptions of industrial woodworking and provides an eco-friendly alternative to wood processing. In this article, we’ll go over exactly what green woodworking is, its advantages, and all the tips and techniques you’ll need to get started. So what exactly is green woodworking? Green woodworking is an approach to woodworking that transforms unseasoned and unprocessed wood into finished products using only hand tools. Unseasoned wood (or green wood) is just wood that has been recently harvested, which therefore means that the wood has a high moisture content (since it hasn’t had time to dry out). Unseasoned wood could also be wood preserved in water baths, which helps maintain a high moisture content. However, green woodworking is not only about the type of the wood used. Green woodworking differs from traditional woodworking from its core philosophy to its methods of wood processing. It employs specific techniques and uses hand tools to achieve a more natural and eco-friendly way of working with wood. Unseasoned wood can be worked with more easily, with less effort on the body and less deterioration on the hand tools involved. The secret is to work on wood while it’s still moist, as the more it dries, the harder it is to process it until it turns into nothing more than firewood. 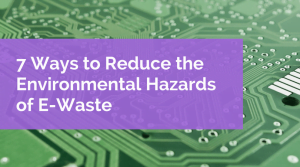 The good news is that in an ambient atmosphere wood dries very slowly and you can slow that process down even more by sealing and reducing the wood’s exposure to outside air. Once the wood dries, not only does it hardens up, but it also shrinks in size, which is a process that you can take advantage of when designing your project. 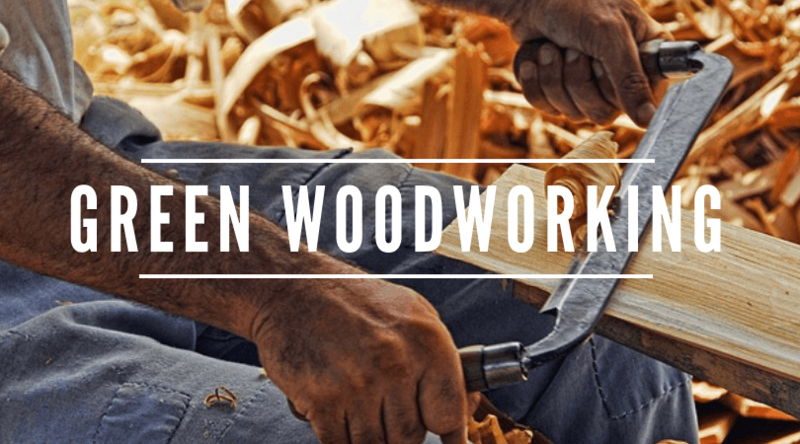 We hope to have convinced you by now that green woodworking is still a viable alternative and not a long lost art, so let’s get into the nitty-gritty details on how green wood processing actually works. Here are the step-by-step details. The process of splitting the wood vertically along its length is called cleaving, also referred to as riving. Since the split follows the grain flow and does not severe any wood fibers, the process is very efficient and it requires just a traditional hand tool called the froe. 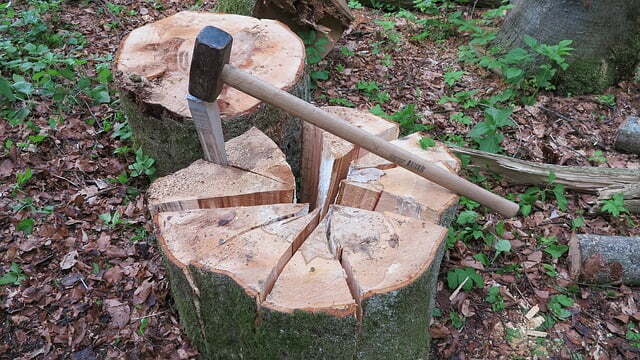 You can also use an axe, or hammer a wedge into the wood to split it (shown below). After the riving process has ended, you’ll follow up by using an axe to flatten the timber face in a process called hewing. 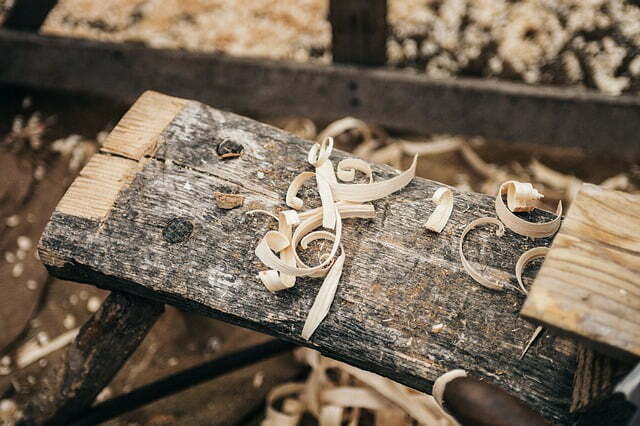 Modern woodworking nowadays uses timber milling so hewing wood is not necessary anymore, but if you get your hands on a traditional piece of woodworking you can sometimes see the axe markings. Before the proliferation of portable workbenches and electrical saws that many woodworkers employ now, people used shaving horses and drawknives to clean and shave the wood. 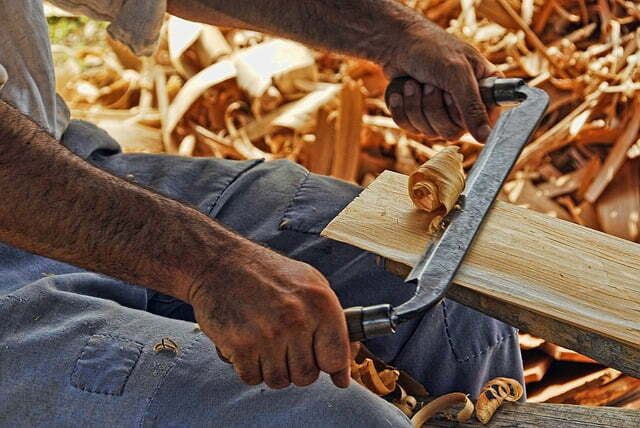 The image below shows a person shaving a piece of wood. This process is still extremely efficient in the hands of a skilled woodworker regardless if you’re looking to remove heavy stock or just finish small details. Lathe turning is very similar to the process that it’s currently used by modern woodworkers, with the only difference being that a reciprocal pole lathe is used instead of a power one. Bowls and other pieces of wood turned using a pole lathe are of much higher quality. You don’t need to break the bank to get started with green woodworking, as most of the required hand tools are either basic ones that you might already have, or fairly inexpensive to purchase. 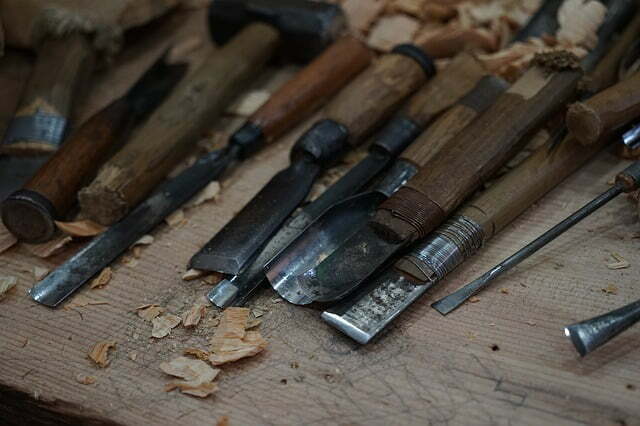 We’ve used axes for thousands of years and they are still being used as the primary tools when it comes to green woodworking. 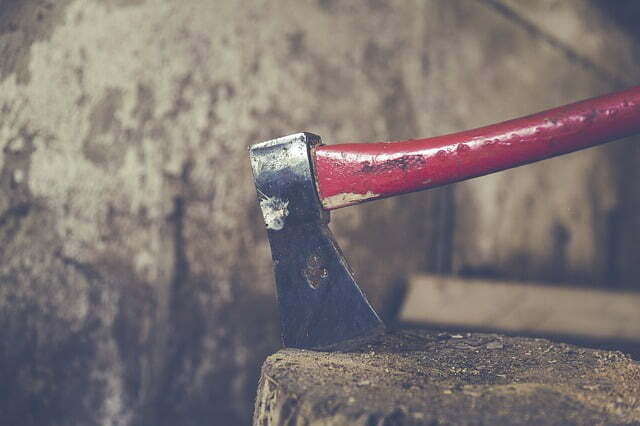 We recommend investing in a high quality axe, preferable a Narex or a Japanese one. As we mentioned before in the splitting the wood technique section, you’ll need a froe for riveting the timber. Despite its simple look, a froe is an extremely accurate hand tool that gets the job done properly. There are a variety of sizes and shapes of drawknives to satisfy any preferences, so you can choose whichever model you prefer to showcase your skill. For spoon carving and for finishing finer details, you’ll need to invest in a steel forged woodworking knife. Since you’ll spend a lot of time carving, it makes sense to find a model that you’re personally comfortable with. Narex, Ray Iles and Kanenori are all reputable brands. Last, but not least, you’ll need a hand saw that’s made of high quality steel and durable. Since electrical saws are not suitable for green woodworking, a sturdy hack saw is the best option to aid your manual labor. I want to end this primer on green woodworking by emphasizing the feeling of personal satisfaction and joy you get when completing a green woodworking project. It’s a feeling like no other to see the transformation of a tree to a piece of woodwork and know it has been done in an environmentally conscious way, using only hand tools and your own skills. And for me, that’s the most important factor: to know that you control the whole process from start to finish. Green woodworking may not be as efficient as modern woodworking and it will take you more time to turn out a finished product, but the feeling of accomplishment and the knowledge you derive from learning green woodworking makes it all worthwhile. Mark Thompson is an experienced woodworker, having run his own workshop for over 20 years. He is a big proponent of green woodworking and thinks this approach to wood processing is more natural and provides a bigger benefit for the environment. You can find more of his writing at ToolsCritic.com.